Trends in Eastern Africa over the past 15 years have consistently indicated that the number of university graduates being released every year into the labour market far outstrips the number of job opportunities available in the formal sector. For instance, the 2016 World Bank Country Report on Economic Growth to Jobs and Shared Prosperity for Kenya stated that institutions of higher learning were releasing an estimated 800,000 youth into the job market every year. This was in an environment where the number of new jobs in the formal sector has been on the decline from 134,200 in 2013 to 106,400 in 2014. Unemployment among the youth in Kenya was calculated to stand at 17.3% compared to 6% for the neighbouring countries of Uganda and Tanzania. Ironically, the region hosts a number of stagnant and neglected industries particularly in the informal and industrial sectors which have fallen dormant due to a lack of skilled employees. Similarly, the bulk of Small and Medium Enterprises (SMEs) which would have offered employment opportunities for the youth either fail or fallen into decline because they also face obstacles to their growth. What opportunities can such youth explore? The economic forecast for Eastern Africa is optimistic. Predictions are that over the next few years, economies in the region are poised to witness exponential growth if they are able to develop a highly skilled workforce that enjoys improved access to business capital. Analysts have increasingly pointed to small and medium-enterprise owners and especially the youth as the primary beneficiaries of this anticipated economic prosperity. 2jiajiri is the flagship youth empowerment programme of the KCB foundation. It is an enterprise development and wealth creation programme that aims to transform the youth of today into the employers of tomorrow. As its name suggests, 2jiajiri is all about liberating the youth from the expectation of selling their labour to the freedom of self-employment. The programme seeks to inspire young people in Eastern Africa to realise their potential as business owners and job creators by generating sustainable employment opportunities for themselves. Formal linkages to customers and suppliers in the larger market that ensure long-term sustainability. The KCB Group is wholeheartedly committed to 2jiajiri and has set aside USD 500 million for start-up and working capital loans exclusively for the youth-led businesses that will be established through the programme. During the pilot phase of 2jiajiri in 2016, 2,234 students enrolled in the programme. 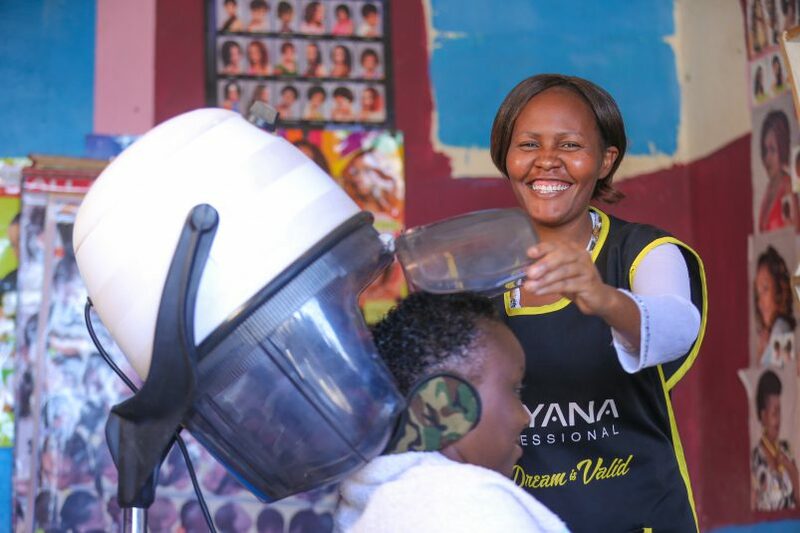 They were trained in 114 vocational centres, spread across 20 counties. Of these, 518 have established businesses that have qualified for financing from KCB. Another 270 have secured paid internships whilst the remaining 1,446 are in the process of founding and registering new enterprises that will be considered for financing and enterprise growth support. The KCB 2Jiajiri programme is specifically designed to complement similar youth empowerment initiatives in the region that are being implemented by governments and development agencies. In Kenya for instance, 2jiajiri has added to the efforts of the Youth Enterprise Development Fund (est. December 2006) and the Uwezo Fund (est. September 2013) in their efforts to reverse youth unemployment in the country. Up to 10,000 youths were picked to join 2Jiajiri in 2017, the KCB Foundation’s technical and vocational training scholarships programme, giving them a crucial stepping stone into entrepreneurship.